1 KAYAK 15€ boat for 1 person. 1 CANOË 30€ boat for 2 person. Family path, along the water, enjoy the river and nature. 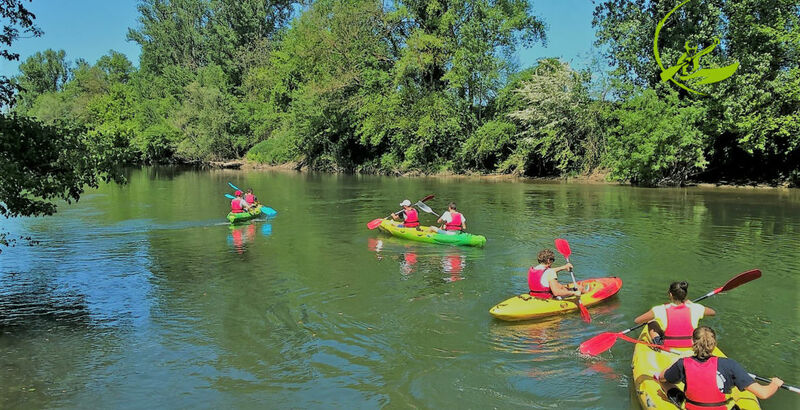 Discover the Aveyron Valley with friends or family in a canoe in Negrepelisse ! Travel "valley" from 5 years. From our base, we will walk across the island of Negrepelisse to board. By canoe, kayak or Stand-Up Paddle, you will swim on the water to discover the valley. We will pick you up by mini-bus at the agreed time. You must know how to swim and immerse yourself in the water. More available online now? Don’t worry, call us at 0563315643 - we may have a nice surprise for you! Possible on-site payment in cash, cheque, vacancy cheque. Sale of fresh drink and ice cream at the canoe base.